Ignore the meal categories-because I use MyFitnessPal, I just put the total amount of calories on S Health. 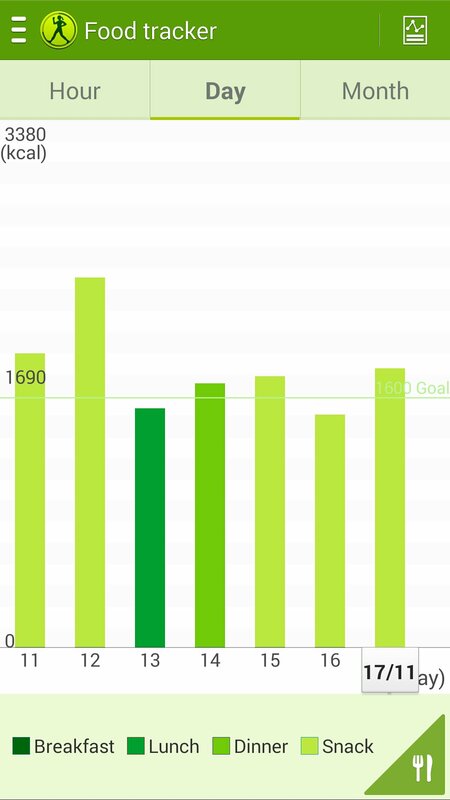 As you can see, I’ve been getting much better at hitting my calorie goal. Attempting fasting is helping me with this because I’m consciously trying to limit what I eat. You can see which days were meant to be fasting days just from looking at the graph (I love graphs) and overall I am still in a calorie deficit because excluding Tuesday, I am still less than 2000 calories (female RDA). This should have a positive effect on my weight loss! !